There is a lot of noise in the world and there is very little chance that we will be remembered. Steve Jobs had inadvertently outlined one of the biggest challenges that salespersons face at trade show events. With so much commotion, so many exhibitor brands and so many trade show display items around, a visitor may not remember even half the people he meets on the floor of the trade show. Forget meeting a trade show exhibitor, he may actually decide to hang the trade show attendee badge on the reverse, towards his back and refrain from talking to anyone. Similarity kills the curiosity in visitors. What can salespersons do to get off their trade show marketing to a rollicking start? Can the trade show event augment traffic building into the corporate website? It is possible to build a bridge between the trade show event and digital traffic building for lead generation. Place a QR code on the exhibition stands for hire that on being scanned shall send visitors to a special landing page on the corporate website with downloadable content pertaining to the industry vertical. It can build traffic into the website and generate qualified leads for business. Branded giveaways are certainly better than commoditized stuff. The giveaway item may not necessarily be related to your business. Paste a sticker of the brand logo on free giveaways. Let’s say if free water bottles are being given away to trade show attendees, paste the brand logo sticker on the crowns of the water bottles so that the first visual interface before drinking water is with the brand logo. All exhibitors care for relationship building with visitors and lead generation, but do they care to know what the visitors feel about the trade show? This untapped avenue can be a great source of lead generation, improvement of trade show marketing, product development and fetch new ideas for sales and trade promotion. Many trade shows are accompanied by a conference segment that aims to build dialogue in the industry vertical but then restricts participation to the most powerful voices only. There is more traffic at the bottom and middle of the professional pyramid than at the top. These are voices waiting to be heard. Organize an impromptu forum at the trade show rental booth asking attendees to share their challenges, worries and concerns. While the forum may not be able to address all the questions directly, it can pave the way for conversations beyond the trade show for long-term relationships with the brand. One great way to generate a high brand recall and ensure that visitors remember the brand long after the trade show is over is to offer seamless interfaces. Each trade show display, piece of furniture, accessory and uniform worn by the trade show booth staffer is a touch point that creates an interface with the visitor. Standardize the visual interfaces to enable seamless visual sensory experiences. Synchronize the color coding across all touch points, including the exhibition stands for hire, the free giveaways, the business cards, the product catalog and every possible visual aspect based on brand image and personality. What are the most pressing challenges facing the industry vertical of clientele? The marketplace is interested in solutions to these challenges. Instead of showcasing products only, position the brand as a solutions provider. How does the brand resolve challenges of rising costs, high energy consumption for industrial production, defective quality and risk profiles? Showcase solutions using trade show displays to highlight success stories of the brand in resolving these challenges to capture the attention of visitors. It is highly common place for visitors to forget to carry their phone chargers to the trade show venue. It may sound subversive if not paradoxical that this very important aspect of people’s professional lives is at times ignored by them. 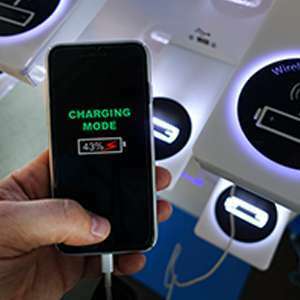 Place wireless mobile charging terminals at the trade show rental booth manufacturing and allow visitors to plug in. Let the devices stay connected and use this opportunity to build ice-breaking conversations with them. How about creating a dedicated photo booth? Position the exhibition stands for hire symmetrically to convey strategic messaging with a visually astounding and creative piece of photography that depicts social marketing. Enable visitors to support and communicate the cause of social innovation that the brand can augment. Let’s say a food brand can put up an e-poster appealing visitors to not waste food with an amazing brand logo and soul stirring content. It can be a focal point of attraction for attendees to click photographs at the trade show venue. It is not that trade show attendees do not want to talk to any exhibitor. But, it makes enormous good sense to suggest that they are put off by “on your face” over zeal of some salespersons that dive straight into sales talk without being sensitive to a visitor’s privacy. Ice breaking has to be non-invasive. Place a bowl at the entrance of the trade show booth requesting people to drop their business cards. Announce special prizes for a lucky draw stating that the prizes shall be sent straight to the office address that the attendee shall share. Building traffic and engaging in conversations is not the easiest of tasks at trade show events. Yet, in the modern competitive landscape there are various disruptive innovations possible by combining conventional trade show marketing and digital initiatives to achieve what is best for business and unlock brand outreach in the market.